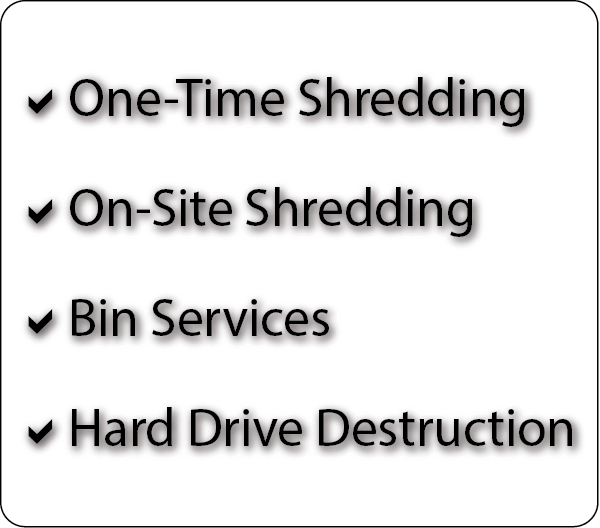 Please tell us about your shredding needs. Your security is our business! That’s why FILE KEEPERS will always continue to ensure your privacy by offering the most comprehensive and cost effective programs, custom tailored to fit your needs. Request a free quote by selecting from our services below. The certified destruction facilities are enclosed, have fire suppression systems, exterior serpentine-wired fencing, and 24 hour video surveillance. 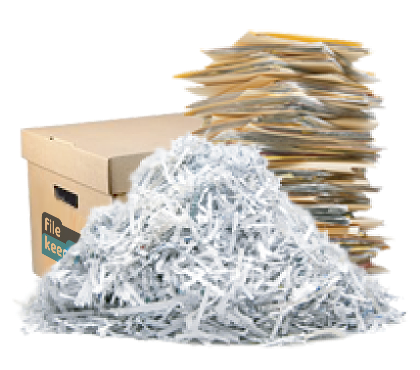 Industrial grade file shredders provide effective cross shredding of records. Witnessed destruction and/or recorded date stamped destructions are also available. Certificates of Destruction and/or Confidentiality Certificates are provided. To ensure the privacy and physical security of our customer’s records and our compliance with federal regulations (i.e., Gramm-Leach-Bliley Act Title V, Sarbanes-Oxley and HIPAA Act of 1996). File Keepers is certified by NAID®, the international trade association for companies providing information destruction services. File Keepers is not just concerned about your security, but also about the environment. After your documents are destroyed the remaining paper shreds are then processed into post-consumer fiber.